Rodney Crowell, singing in his hometown at Cactus Music & Record Ranch. It was a typically low key homecoming for one of Houston’s favorite musical sons – Rodney Crowell walked in the front door of Cactus Music & Record Ranch on Monday, guitar case in hand, and asked, “Are you ready?” With little fanfare, one of the greatest songwriters of the past few decades sat on the record store’s small stage and started picking a blues tune. That’s not surprising, considering the prowess of Rodney Crowell, who became one of Nashville’s top talents in the 1980s and 1990s. He hit first as a songwriter, penning “Shame On The Moon” for Bob Seger and “Ain’t Living Long Like This” for Emmylou Harris. Then he was a producer, working on a number of albums for his wife at the time, Rosanne Cash. Then Crowell became a bonafide country singing star with the 1988 album Diamonds and Dirt, which spawned an amazing five No. 1 country singles. 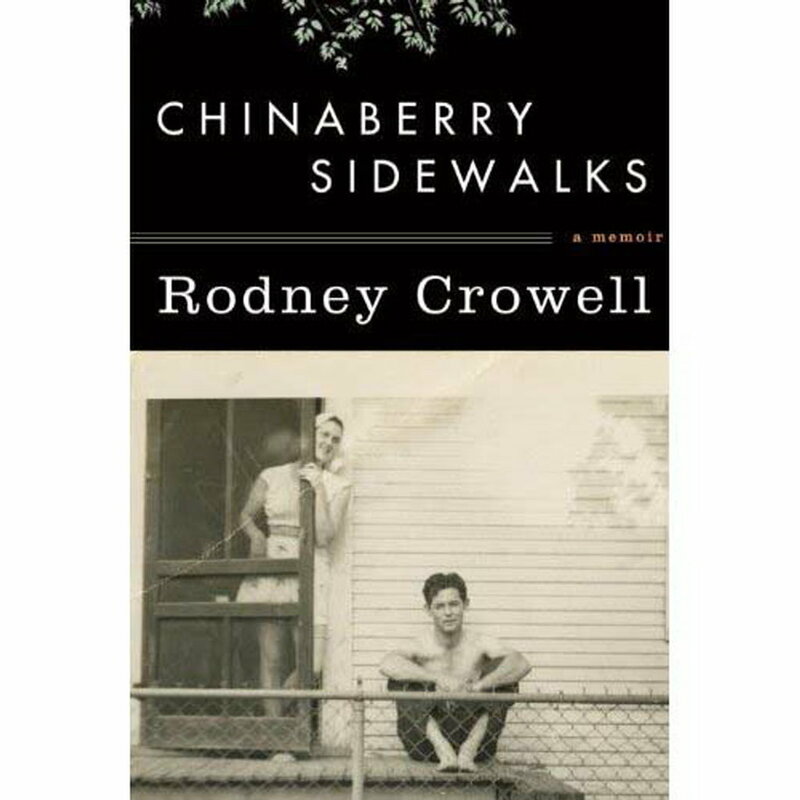 On this afternoon, Crowell’s intent was to promote not only the evening’s gig but also his new book, Chinaberry Sidewalks. The book is an autobiographical look at Crowell’s upbringing in Houston by his hard-drinking, country-singing father and his Bible-thumping mother. Apparently the book stops before it can get into Crowell’s musical career; the heart of the story is the turbulent but loving relationship he had with his dysfunctional parents. Crowell wrote the book – without the help of a ghost writer – over a 10-year period. “You know me,” he said, “I gotta do it all myself. 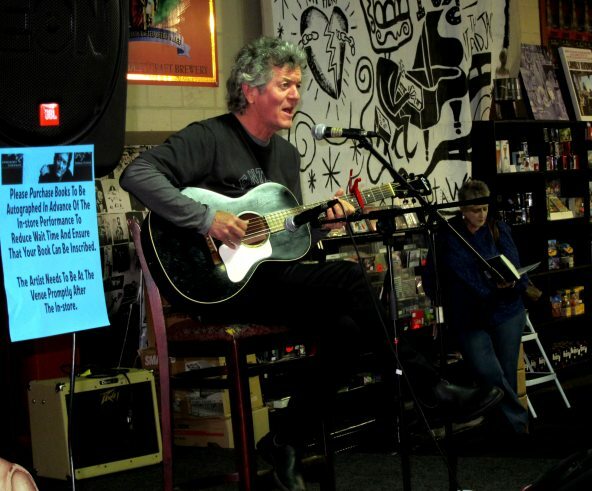 If I’d used a ghost writer it would have been finished a long time ago.” This in-store was supposed to have a little music and some reading of passages from the book, but Rodney Crowell got lost in the music and forgot about the prose. No complaints. This entry was posted on January 31, 2011 at 8:07 pm and is filed under Rock Moment with tags Rodney Crowell, Rosanne Cash. You can follow any responses to this entry through the RSS 2.0 feed. You can leave a response, or trackback from your own site. Have to check it out – I’m a big fan. W.